Normally, I begin a blog with a comment on weather as in the plant business, weather is the greatest factor affecting growth, planting and sales at the nursery. Set up of the outside sales yard will be delayed about 10 days later than last year due to the continued cooler than normal weather. In fact, I found it interesting that in 1945, the lilacs in the Eastman garden in Rochester, New York did not bloom until the second week of June that year due to the cold weather! I think that almost everyone in gardening would agree that a slow, easy warm up is preferable to a sudden spike of an early warm spell but the continued cooler weather for April is getting old. 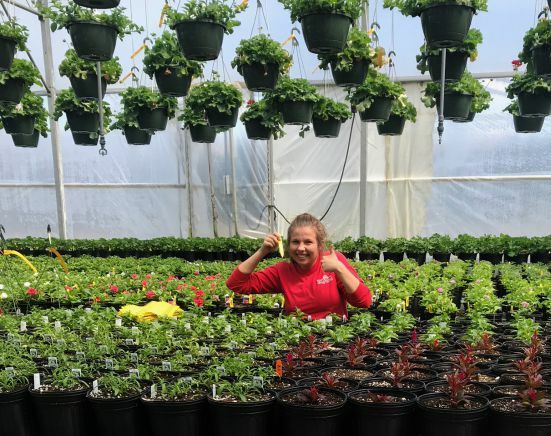 Regardless of the weather, there is no shortage of work behind the scenes as far as planting, digging, tagging, potting and weeding as we prepare for spring. Labor for this hard and dirty work has been scarce starting several years ago so that workers from Mexico are now employed under a special Government program called H2A. The workers so far have been amazing as they will tackle any job and will work almost any hours. As we continue on, the goal is to have our set up complete by the end of April but we’ll see what the weather has in store.